NOTE: Telephone reservations are required. Motor Vessel Commander was built as an excursion boat for service between Rockaway and Brooklyn, New York. 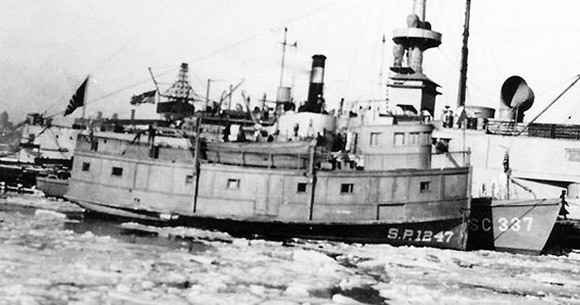 In 1917, she was leased by the U.S. Navy and assigned to the Brooklyn Navy Yard to outfit submarine chasers and tow manned observation balloons off the entrances of New York Harbor in search of German submarines. She was decommissioned and returned to her owners in 1919. She then began an eight decade career with the Rockaway Boat Line, one of the longest uninterrupted services in excursion boat history in the United States. She is now operated in the Hudson River Highlands as an excursion vessel. Commander is the only former U.S. Naval vessel of World War I vintage still operating under her own motor power and in its original condition. She proudly displays the World War I Victory Medal. 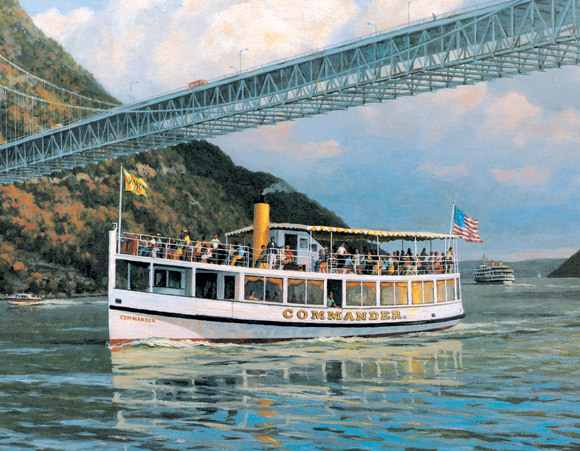 MV Commander is on the National and New York Registers of Historic Places.